As an out-of-state attorney, how do I make sure I am following Nevada rules and customs? How can I prevent others from making or selling my invention without permission? How do I navigate Nevada’s friendly but sometimes complex business court? How can I protect and grow my Nevada small business? What are the steps for creating a valid mechanics lien in Nevada? What are the four biggest mistakes contractors make when it comes to Nevada mechanics liens? How do I make a claim against a Payment Bond? How do I make a claim against a Labor and Material Bond? What rights do general contractors and subcontractors have to prompt payment under Nevada’s Prompt Payment Act? What rights do general contractors and subcontractors have under Nevada’s Prompt Payment Act when they request change orders? How can my construction firm minimize its attorney expenses in collecting on its Nevada construction work? Why are written collection procedures so important? 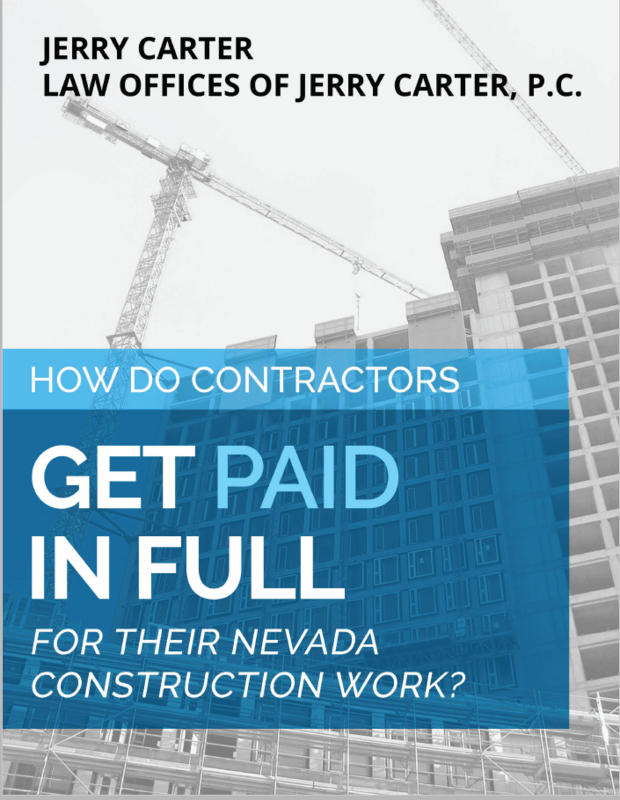 To obtain your FREE copy of HOW DO CONTRACTORS GET PAID IN FULL FOR THEIR NEVADA CONSTRUCTION WORK? download here or call 775-448-6070. Jerry Carter has practiced law for over twenty-one years. 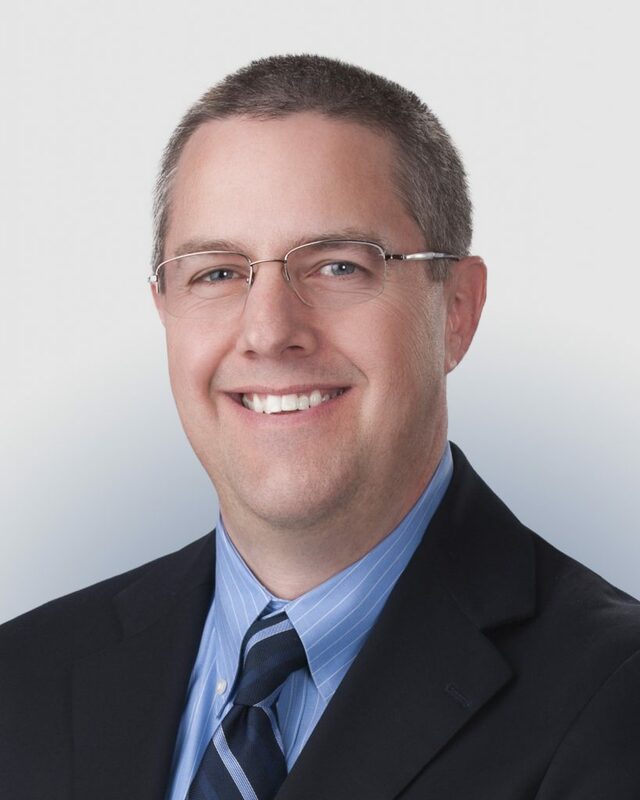 He focuses his practice on helping individuals and companies resolve business disputes and implement agreements and procedures that minimize or avoid future disputes. Mr. Carter graduated in 1992 from the University of Chicago Law School, where he served as a Comment Editor for the University of Chicago Law Review. Mr. Carter received a B.A. in philosophy from Brigham Young University in 1988. Prior to entering private practice, Mr. Carter served as a clerk to federal Court of Appeals Judge W. Eugene Davis. He then began his business litigation career at Mayer, Brown & Platt, in Chicago, Illinois. In 1996, Mr. Carter located his practice in Nevada, where he has represented individuals and businesses for the past 18 years. Mr. Carter resides in Reno, Nevada with his wife and three daughters. He enjoys cycling, backpacking, and barbeque. 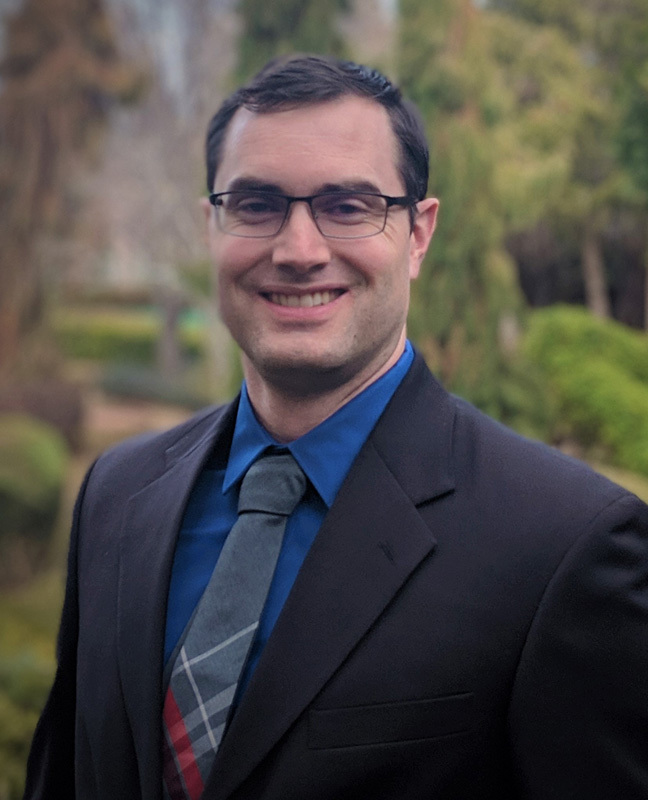 As a Patent Attorney, Francis (“Frank”) Ward brings considerable experience in Intellectual Property law, Mechanical Engineering, and Business Management to the Sierra Crest Business Law Group. By leveraging his wide-ranging background, Frank can guide clients through every phase of their business - from new idea to smoothly running. As a registered member of the Patent Bar with a background in Mechanical Engineering and Android App Development, Frank can represent inventors before the United States Patent and Trademark Office (USPTO) for a wide variety of technology areas. Additionally, he can assist clients obtain Trademark and Copyright protection. Prior to joining the firm, Frank was involved in brand enforcement and anti-counterfeiting litigation, which included locating and seizing the assets of international counterfeiters. Frank has also successfully prosecuted patents on inventions ranging from complex mechanical devices to software systems.